Have Too Many Passive Members? A new report, The American Engagement Index [PDF], published this month by MCI and FairControl, reveals that many members and nonmember customers have weak or very weak engagement with their association. The researchers analyzed survey responses from more than 3,800 members and customers of 10 participating U.S. associations and generated an overall AEI score of 75 out of 150, which the report characterizes as signaling “borderline weak” engagement. Now it is important to keep in mind the difference between member engagement and the members expectations. Some members are members to simply support the cause, and being to pushy with these members will drive them away. Associations Now: What Can You Do About Passive Members? 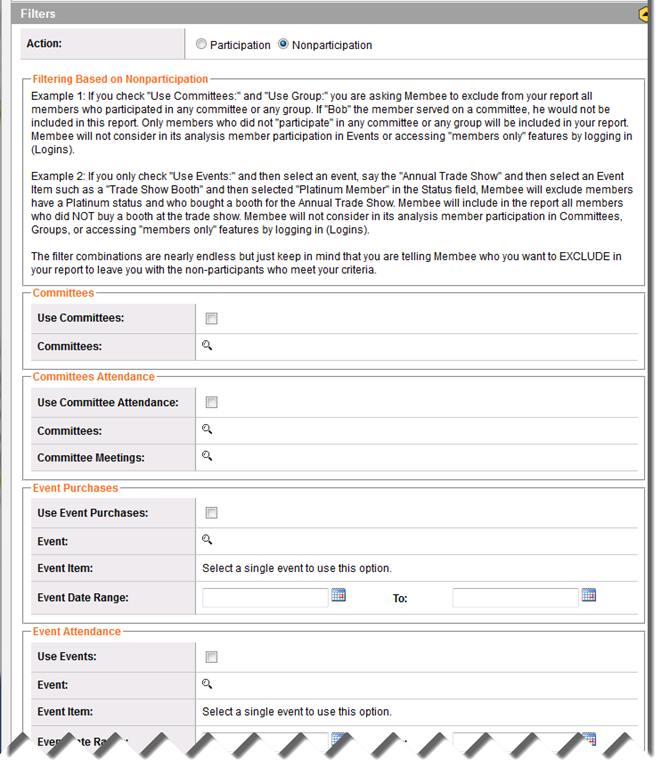 Using Membee’s Non-Participation report will provide you with the members who are not engaged or participating. This information is invaluable when promoting events so your organization can sell as many tickets as possible. This report is the perfect way to show members who seem to be a bit M.I.A that you miss them and would love for them to attend your next event. This show of interest is extremely important for member retention and satisfaction… read below how it can also increase your organization’s bottom line! With the information you gain from the Non-Participating Report you can offer discounts to certain members using Membee’s Promo Code feature. This feature works wonders to entice those who usually do not attend. Membee has had user’s increase their event sales by 20% just by simply offering a Promo code. Using Membee’s Promotions feature combined with the list of members gathered from the Non-Participation Report can be the perfect combination for sending a personalized “We Miss You” email. Check out previous Latest Buzz blog posts highlighting the Promotions feature below! Members not participating in what your organization has to offer aren’t getting the most out of their membership. Less committed members can be at a high risk for dropping their membership. Using the Non-Participation report can be vital in catching members who are thinking about dropping their membership, and re-engaging them. Sometimes even a simple “Haven’t seen you in awhile message” is enough to generate interest in participating again. Letting members know you miss them by sending a more personalized message can ignite interest. Letting members feel special and wanted will go a long way for engagement and loyalty. 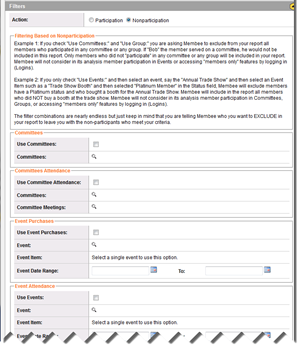 You can also use the non-participation report to find those members who haven’t registered for your latest conference who usually do attend and re-invite them. Want to learn more about Promotion Codes? Check out Membee’s previous blog posts! Thank your members to improve loyalty, retention, and sales!